Saint Peters U Mobile provides quick access to information and personalized services from the palm of your hand! Go to "News" and "Events" for the latest information at Saint Peters University. View "My Grades" and "My Courses" as you can in SPIRIT Online. 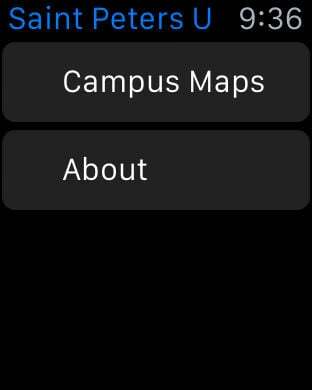 View "Campus Maps" and get directions. "Important Numbers" shows the list of important phone numbers and contacts at Saint Peters.